Pen Chalet was started because of a passion for fine writing instruments between a couple of friends in Mesa Arizona. We took this love of pens and created a website where other pen enthusiasts can share. We hope you enjoy! At Pen Chalet we value our customers. Not only are we passionate about writing instruments, we are passionate about our customers having the best experience possible. This is why we have a satisfaction guarantee. Each of our writing instruments are guaranteed authentic and we want our customers to be happy with the items they receive. 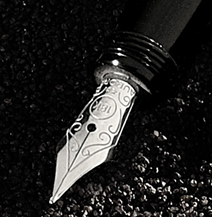 We want to provide luxury, high quality writing instruments at a value so others can share the same passion for pens. We work hard to ensure each and every order is right, from ordering and delivery to the final writing experience. At Pen Chalet we have "The Write Tools for the Analog Writer"!